In this podcast episode, Rebecca reviews E-A-T and discusses how this applies to SEO efforts in 2019. She covers the history of E-A-T and talks about what you can do to improve the E-A-T of your website and brand. In this podcast episode, Rebecca reviews the importance of website audits. She talks about how things go wrong, provides examples of real-world crawls, and includes a list of her favorite tools for running audits. In this podcast episode, Rebecca reviews the importance of performing ongoing keyword research and audits. She covers how often you should execute a keyword refresh, what’s involved in the process, and why it matters to SEO and overall ranking. In this podcast episode, Rebecca reviews the checklist she uses to optimize website content with her team at emagine. She’ll take you through a quick rundown of all the core elements needed to optimize web pages and blog posts. In this podcast episode, Rebecca talks about a recent sales call and what you can learn from her discussion with an unsuspecting business owner. She then walks through the important questions you need to ask your future SEO agency or consultant. EP35: How Much Does a Quality SEO Consultant Cost? In this podcast episode Rebecca reviews the different types of SEO engagements and the fee structure associated with each option. She talks about what to expect to pay, what to expect in deliverables, and what level of success you can realistically achieve. 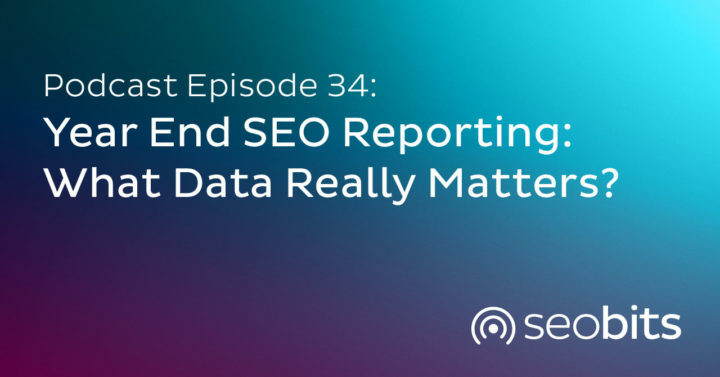 EP34: Year End SEO Reporting: What Data Really Matters? In this podcast episode, Rebecca reviews the importance of reviewing your existing content, cleaning up your website, and pruning old blog posts. She walks through some recent work she’s done, what was performed, and what failed. In this podcast episode, Rebecca talks about Google’s ever changing search engine results pages (SERPs). To be successful in today’s world of online marketing, we need to keep track of the changes to search intent and the organic search results themselves, as well as, the real estate used for Knowledge Graph information, traditional organic search listings, and PPC ads.